Hi friends, this tutorial is for the beginners those who have plans to start development in the WordPress framework. 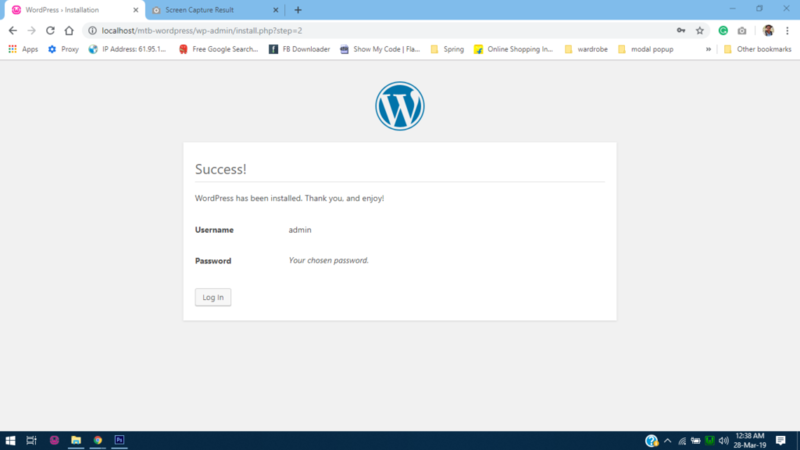 So, in this tutorial, I will show you how to install WordPress in WampServer in a Windows operating system environment. Download the latest version of the WordPress Framework from the following link if you not yet downloaded. Extract the zip file inside the wamp/www/ folder. By default the extracted folder name is wordpress. Rename it whatever you want. In my case, I renamed it to mtb–wordpress. Open PhpMyAdmin in the browser by entering the following URL — http://localhost/phpmyadmin. Next, create a database and name it mtb_wordpress. By default, in PhpMyAdmin there is a root user and its password is null or blank. Now, it is time to start the actual installation of the WordPress framework in WampServer. Open http://localhost/mtb-wordpress in the browser and press enter. Remember mtb–wordpress is the name of the folder in the wamp/www/ folder. The very first page you will face during the installation of WordPress Framework in WampServer is like the below image. Choose the language and press the Continue button. Next, you will prompt to a new page where you have been informed to know the database name, database username, and password, hostname, and database table prefix before you start installing WordPress. Apart from hostname and table prefix, all other information is already you have in Step 3. Now press Let’s go! button. In the next page, you have to enter the database connection details. Leave password blank if your database user doesn’t have any password. Database host is localhost and writes wp_ or whatever you want as table prefix. Press the Submit button. If you correctly entered database connection details then you will see the following page below. Now press the Run the installation button. In the next and last page you have to enter some additiona information like your site title, Admin username and password, your email. After filling the form press Install WordPress button. If everything goes perfect then WordPress will show the success message like below. That’s all. Please feel free to comment if you are facing any issue. Please like and share this tutorial how to install WordPress in WampServer with others.